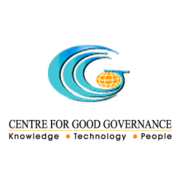 CGG Hyderabad Recruitment 2019 - Walk-in for Software Test Engineers Post in CGG Hyderabad, Telangana. Candidates are invited by Centre for Good Governance, Hyderabad, Telangana to attend walk-in-interview to be held on 18 Apr 2019 for 1 Vacancy..
B.E./ B.Tech/ MCA/ M.Sc (Computer) with 60% or above. 2-4 years in functional testing which include web testing, usability testing, GUI testing, and Regression Testing and exposure to testing tools of web-based software applications.